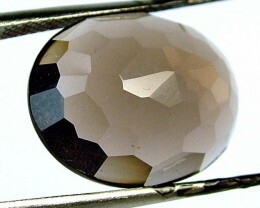 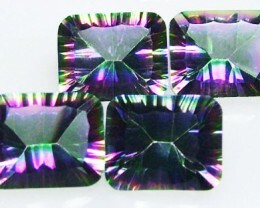 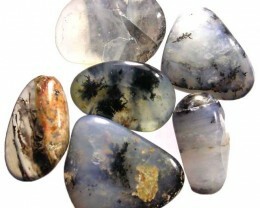 This is a parcel of natural stones well polished. 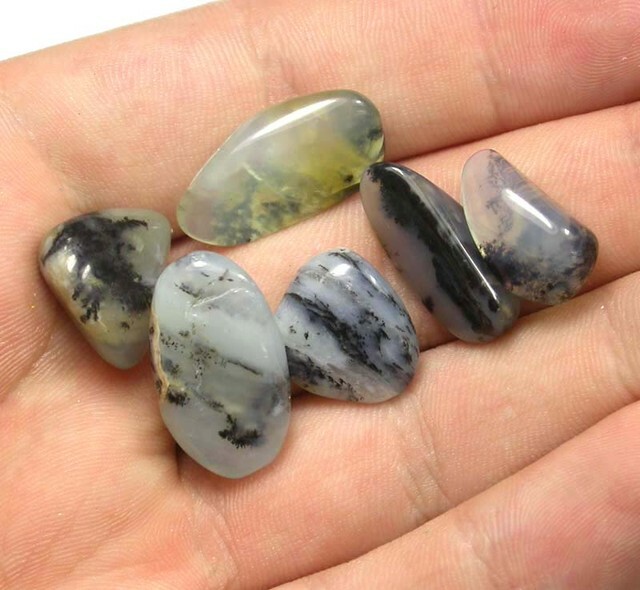 They have dendritic fern like inclusions in the stones.Interesting collectors stones.It is the amount of cooper in the stone thats gives it a blue appearance but these stones have very little blue in it. 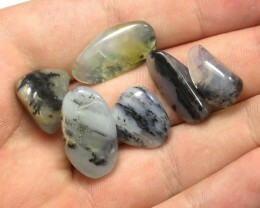 Closely related to Chalcedony. 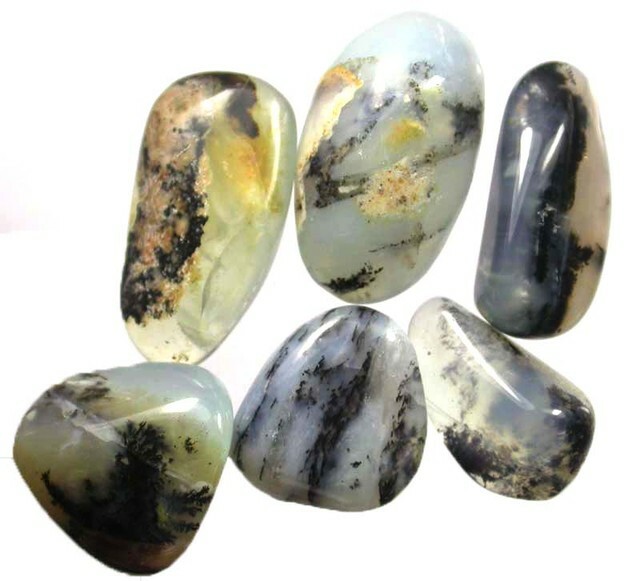 Peruvian blue opal is relatively rare and is only found in the Andes mountains near San Patricio, Peru. 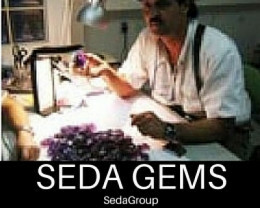 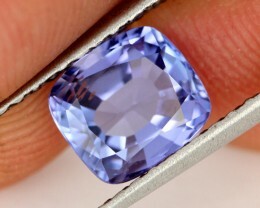 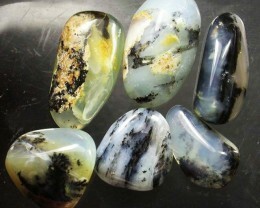 It is a very translucent stone with color similar to the Caribbean Sea. 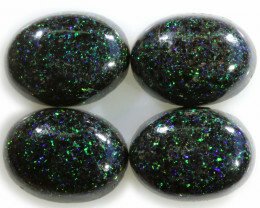 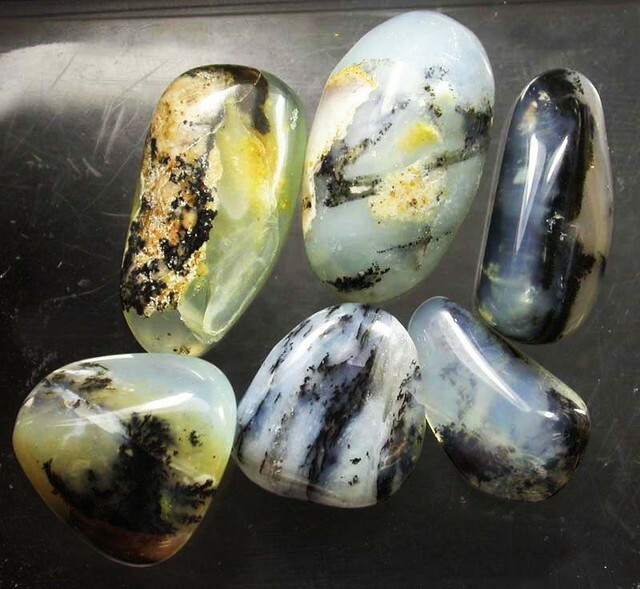 Depending on how the stone is cut it can be clear, scenic (showing varying degrees of color) or dendritic which has black fern like inclusions. 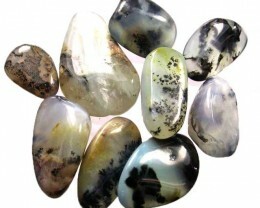 Peruvian opal ranges between 5.5 and 6.5 onthe Mohs scale of hardness. 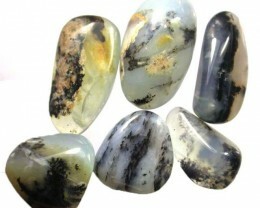 The Peruvian blue opal has soft relaxing energies. 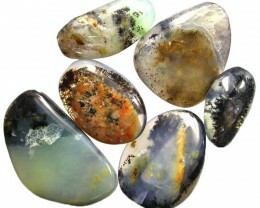 Legend says that it takes the tension out of communication and helps ideas flow freely. 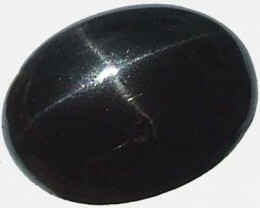 It softens the impact of stress from the outside world and can help one to release the trauma of old wounds. 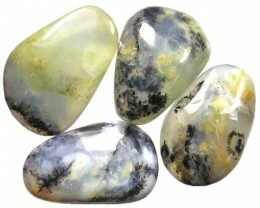 It facilitates facing the future with a tranquil healing nature.